The NIT (formerly Regional Engineering College) Tiruchirappalli was established as a joint venture of the Govt. of India and the Govt. of Tamil Nadu in 1964 to produce world-class engineers who will cater to the growing technological needs of the nation. The institute was granted Deemed University status with the approval of the UGC / AICTE and Govt. of India in 2003 and renamed as National Institute of Technology, Tiruchirappalli (NIT-T). Candidates should have passed the qualifying degree from a recognized University/Institute and secured at least 6.5 CGPA (on a 10- point scale) or 60% for OC/OBC, whereas 6.0 CGPA (on a 10-point scale) or 55% in case of SC / ST / PwD candidates. Conversion from CGPA to percentage or vice versa given by individual Institute/university will not be considered / allowed. Also Read MSSV Nagaon M.Phil. & PhD Admission 2019 - Notification Out! 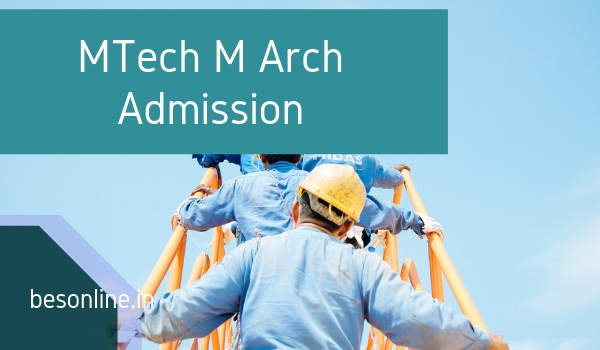 The admission to M.Tech. / M.Arch. Programmes under Sponsored category will be based on written test and Interview by the respective departments. Mere call for Test and Interview does not guarantee admission. Applications are invited from the eligible candidates for admission to M.Tech. / M.Arch. Programmes under sponsored category. The candidates may download the application form and guidelines from the institute website (www.nitt.edu). Also Read Dr DY Patil Vidyapeeth Pune BBA Admission 2019 - Notification Released! Candidate / Sponsoring Industry shall make a payment of Rs. 70,000/- per semester per candidate as institute fee. Hostel / Mess fees will be extra. Sponsored candidates are not eligible for any financial assistance such as Half Time Teaching Assistantship (HTTA) etc. from the Institute. ← University of Lucknow M.PEd & B.PEd Admission 2019 – Notification Out!